Fantastic Beasts and Where to Find Them: A surprisingly sweet movie with a muggle who steals the show. Is it good? Sure! The plot was kind of a mess but the movie was a lot more winning than I thought it’d be. Quick thoughts: I liked Fantastic Beasts on the whole, in large part because it provided an interesting contrast to the main Harry Potter series. I hadn’t really considered how narrow those books were in scope: The main characters were all wizard kids. All seven books were set almost entirely in the English/Scottish countryside, with the occasional short stopover in London. And while they were ostensibly set in the early 90s, they mostly seemed to take place in a bubble out of time. 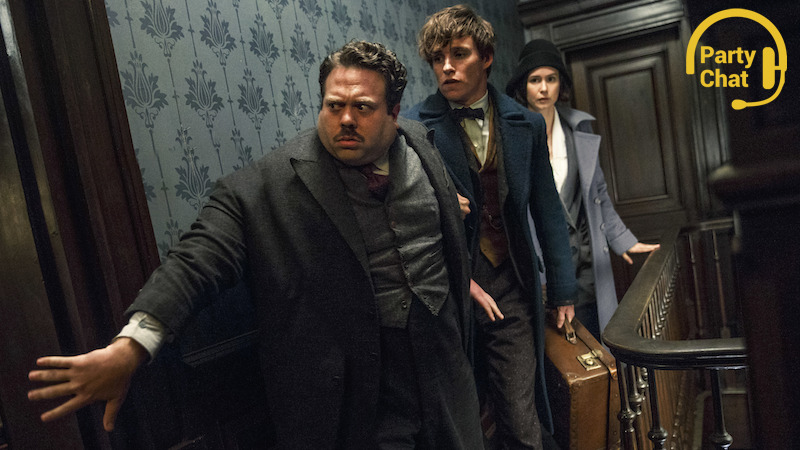 Fantastic Beasts takes place in New York City, where it is most assuredly the 1920s. Its main characters are all adults in full command of their magical powers. And most notably, one of the main characters, an aspiring baker named Jacob Kowalski, is a muggle. Kowalski was my favorite part of Fantastic Beasts, though I will admit I’m a sucker for the romantic subgenre we can call “secret magical world/memory erasure/love story.” The main storyline and antagonist were both underdeveloped, the politics of the American wizarding world didn’t make a lot of sense, and the way the good guys fixed everything at the end was straight-up creepy. But when I was watching another dreamy grin spread across Kowalski’s face as he grabbed a second shot of giggle water, I didn’t really mind.